Q. How do I find materials in the Henry Ford Office Papers? Ford Motor Company went through several office filing systems during Henry Ford’s time and in order to find correspondence in the above collections a researcher must understand and use the filing system in place in that specific accession. The guidelines below will help you locate materials based on time period of the correspondence. Please note, the majority of correspondence was filed according to the rules below, however there were exceptions made, and sometimes rules weren’t followed, so you may have to look in multiple files to locate correspondence. Also note, that while some filing systems used subjects, many did not and filed materials solely by correspondent. Accessions 2, 62, 23, 284, and SE007 are arranged by basic “in house” filing system. Up until 1914, each folder heading was given either a subject, personal name, or business name. Starting in 1919, these types of files continued, but file headings under “A, B, C,” etc. were added in. Subjects, personal names, and business names were filed under the corresponding letter (by last name of a person, or first word of a business name). These letter files were interfiled with the full subject heading files. Different filing systems were in place for Acc. 285. In July 1921 Ford Motor Company moved to a new filing system, the Library Bureau Filing system, a numerical filing system based on the personal, or business names of correspondents. The correspondence was alphabetized for filing purposes and assigned codes as follows: 1) the first part of the code came from the first letter of an individual’s last name, or the first letter in the first principle word of the business name, 2) the second part came from the first letter of the first name of an individual, or the first letter of the second word of the business name. Ford Motor company again switched their filing system in 1950 to another in-house system. This system was again alphabetical and correspondence would be filed under the last name of the individual or the first word of the company name with there were also additional files and subdivisions for correspondence such as “A” “AM-AZ” etc. 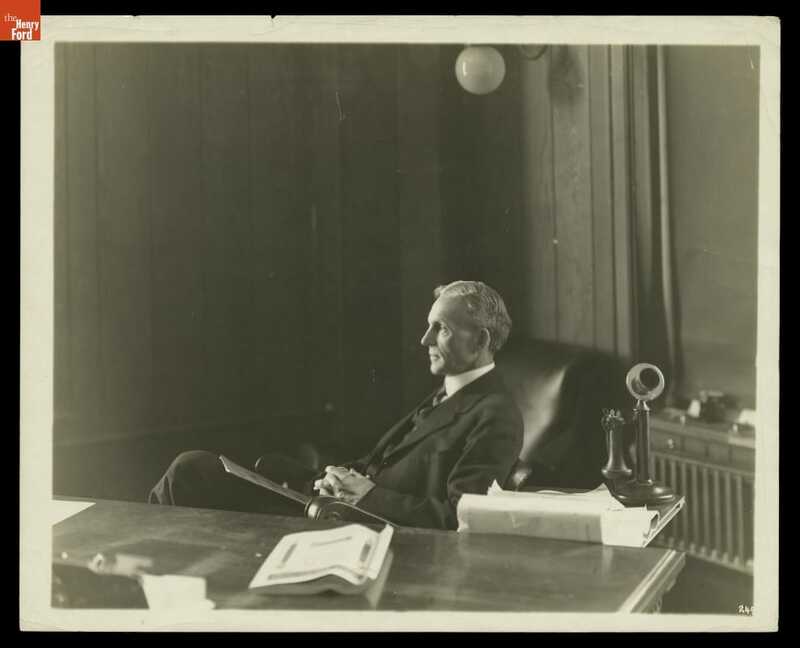 In addition to the above Henry Ford Office paper accessions, some business material can be found in Henry and Clara Ford's personal papers in Acc.1 Fair Lane papers which is arranged mostly by subject. Finding aids are available for further materials relating to Henry Ford. If you can't find what you're looking for, please feel free to AskUs or email us at research.center@thehenryford.org.